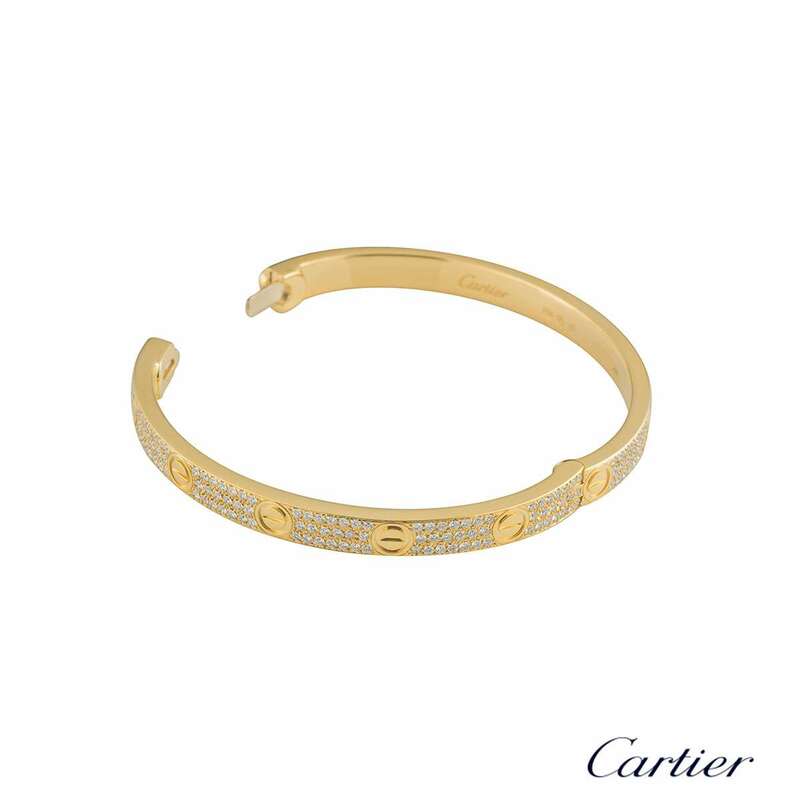 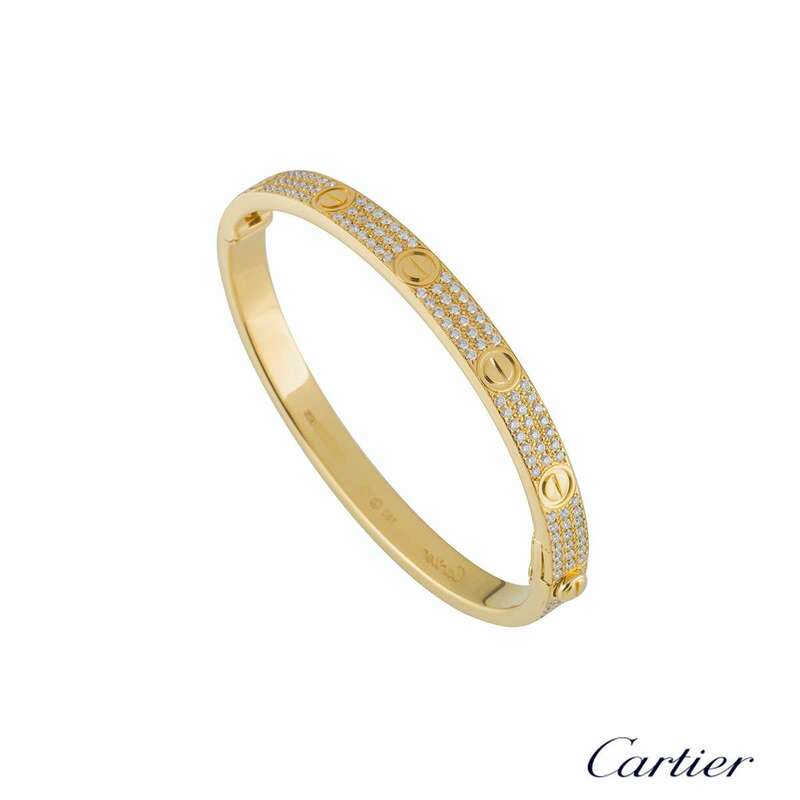 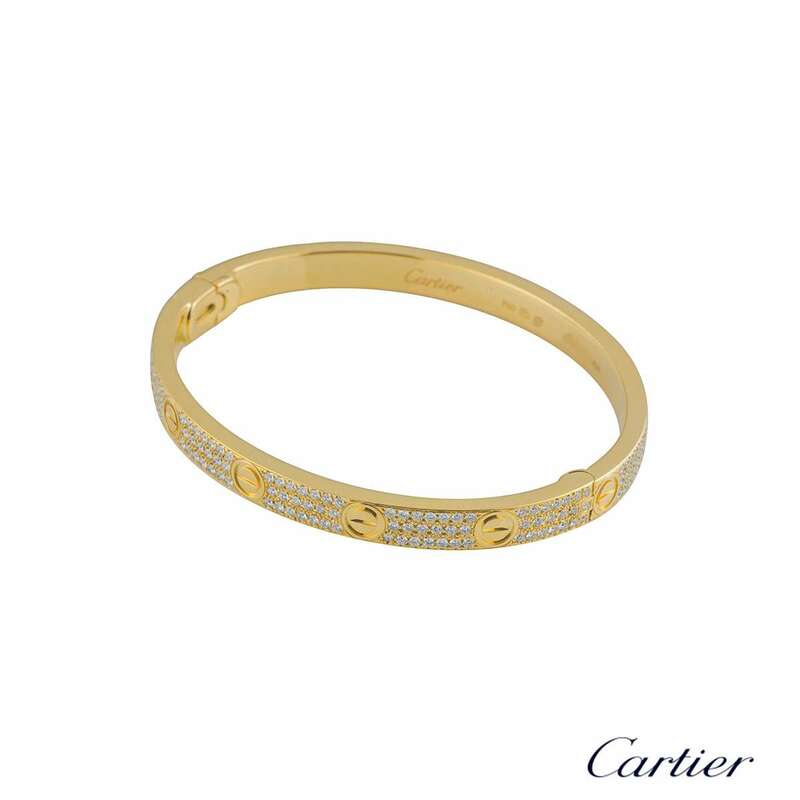 An iconic 18k yellow gold diamond bracelet by Cartier from the Love collection. 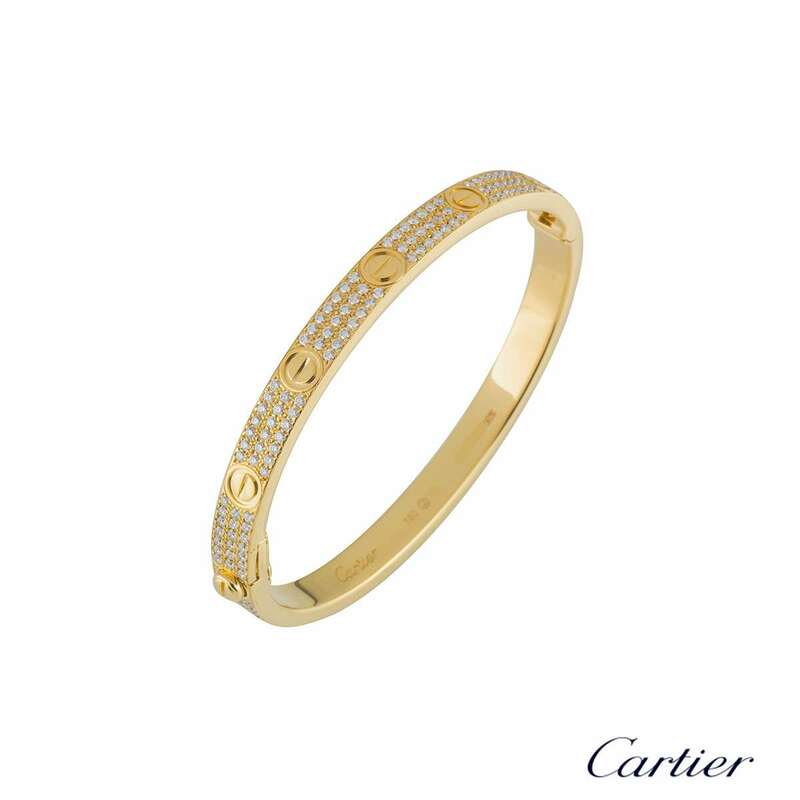 The bracelet has the iconic screw motif displayed around the outer edge with 204 round brilliant cut diamonds pave set between each screw motif. 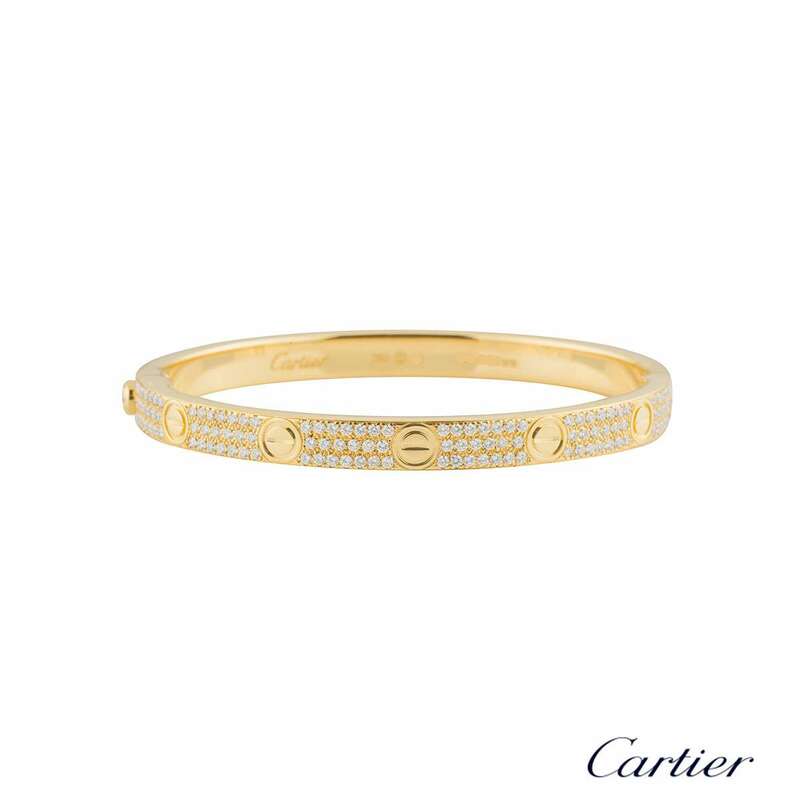 The total diamond weight is 2.00ct, G colour and VS clarity. 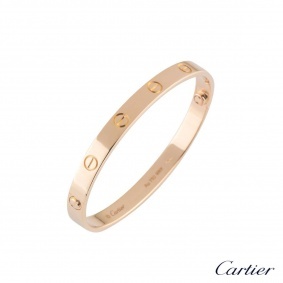 The bracelet features the new style lock system and is size 19. The bracelet has a gross weight of 53.60 grams. 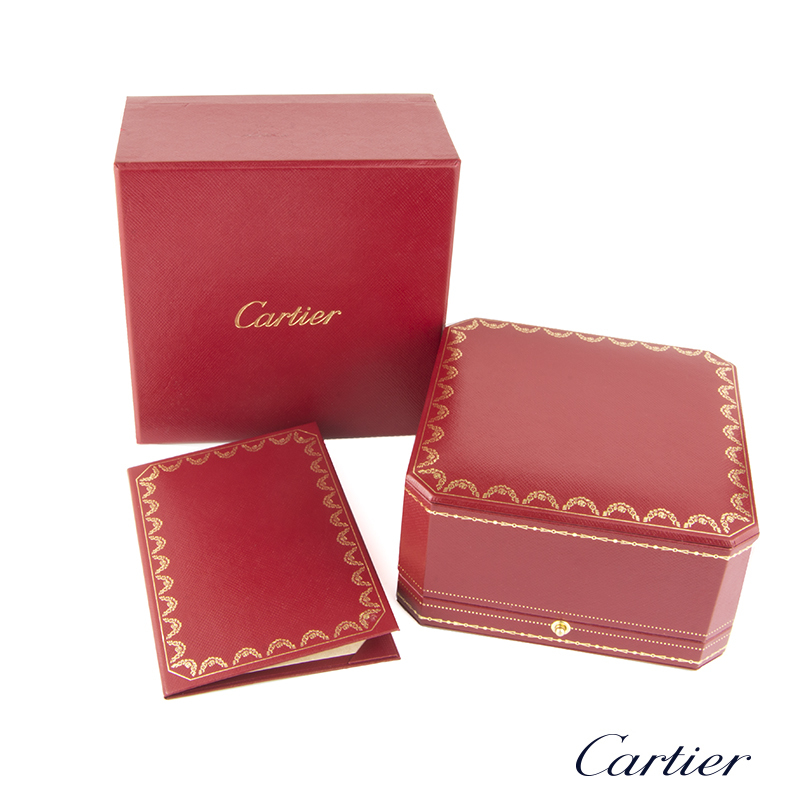 The bracelet comes complete with a Cartier presentation box and Cartier papers dated October 2016.